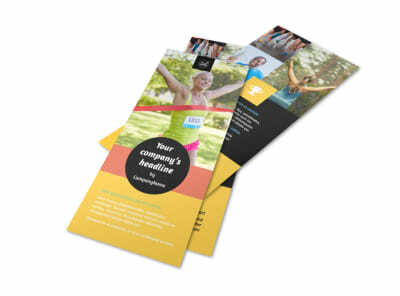 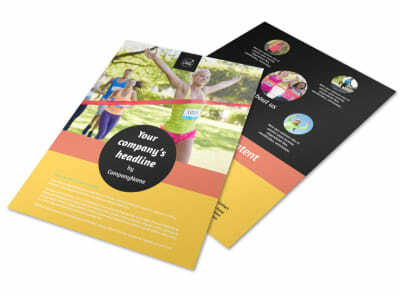 Customize our City Running Club Flyer Template and more! 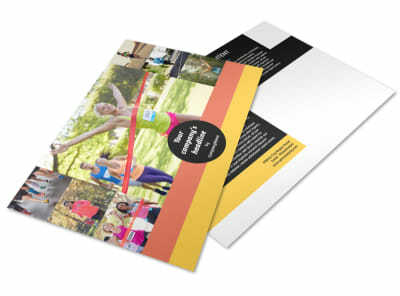 Advertise an upcoming marathon with city running club flyers made using our online editor. 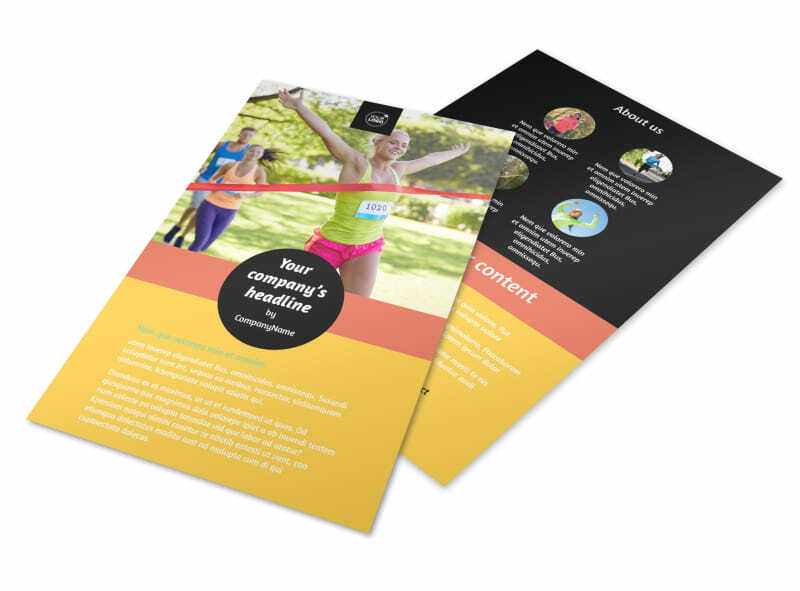 Customize your template with images of past marathons, including team members from your club racing across the finish line. 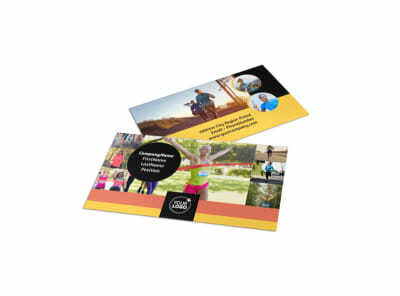 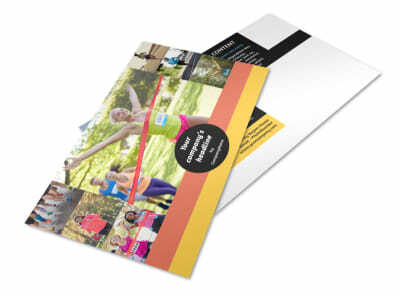 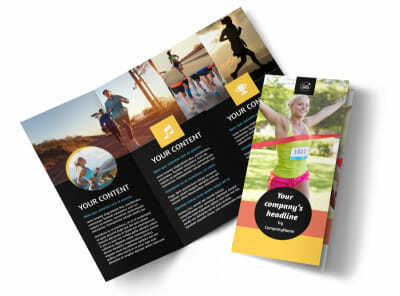 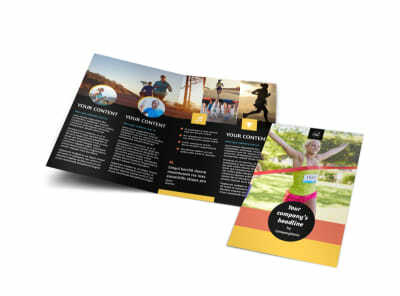 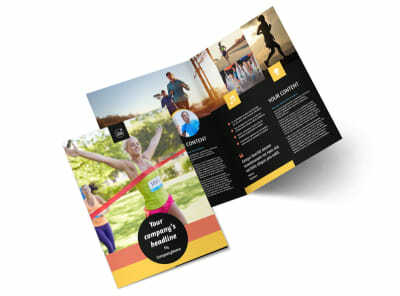 Add your compelling text, play with the colors, font, and other elements, and print at your leisure from your own printer, or leave that part to our experts while you get back to training for the big 5k.